Qualitea, the Castro's newest bubble tea shop, opened yesterday at 4023 18th St. (between Noe and Hartford), in front of Sit & Spin Laundry. 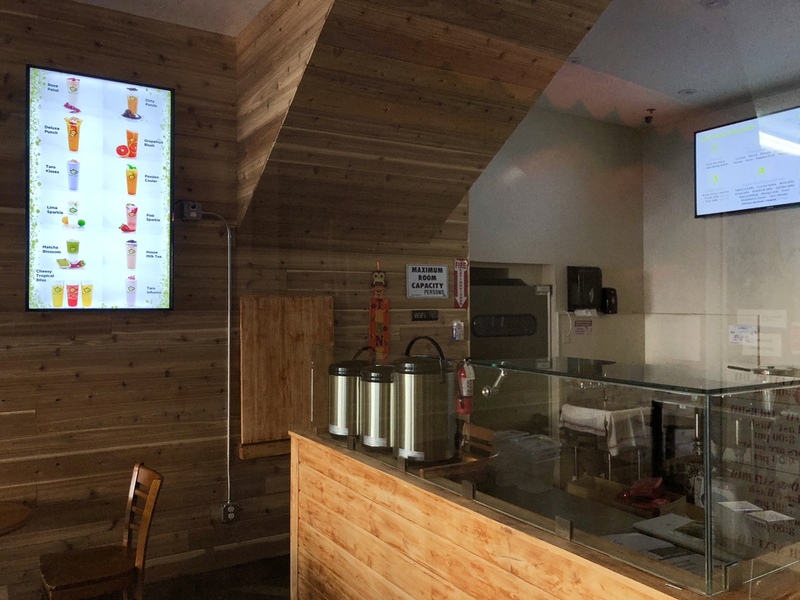 We reported that the boba shop would take over the former Cafe Roza location in January. The cafe offers a variety of milk teas, pure teas, coffee, lattes, smoothies, and fruit-flavored teas. 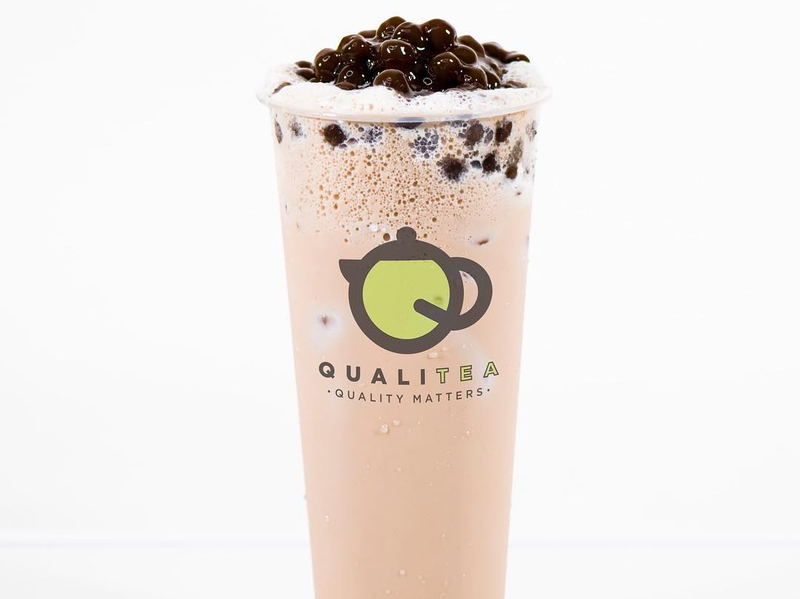 To mark its soft opening, Qualitea is offering two-for-one drinks until Friday, March 9th. Drink specials on offer include Taro Kisses (taro, fresh milk tea with taro chunks), Grapefruit Blush (freshly cut grapefruit with jasmine green tea), and Passion Cooler, passionfruit green tea with kumquat juice, limes and mint. "We offer classic drinks like milk tea, but we also offer modernized drinks," said owner Susan Liu, like the Dirty Panda, a premium oolong topped with house cheese mousse and crushed Oreo. Qualitea is her first tea shop, she said. 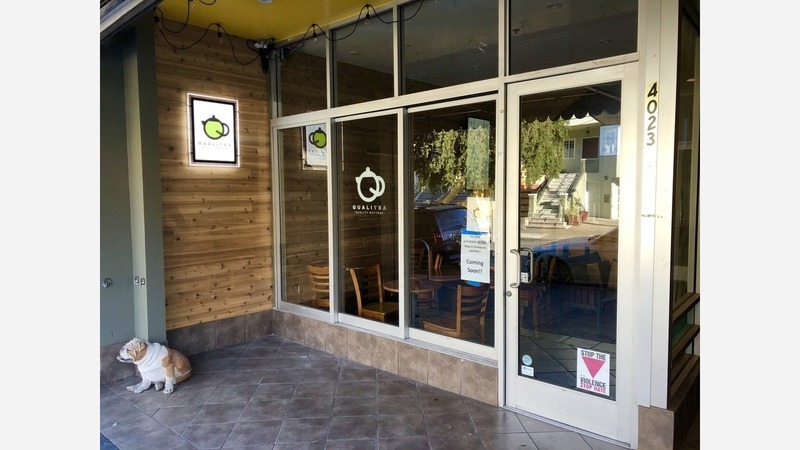 "We decided to open because we didn't see many boba shops in the Castro," said Liu. "All the drinks are inspired by my travels to Taiwan and Hong Kong." Nikki M., the first Yelp user to write a review, said "this place gives you allll the customization you need," since customers can select the amount of ice and sugar they prefer, and "the staff was super friendly." Qualitea is open from 11am-6pm.